May buy 1 for yourself and 10 additional as gifts. May use 1 per customer/visit. Includes ground instruction. Reservations required at least 48 hours in advance. Merchant cancellation policy of 48 hours applies or voucher may be forfeit. All services must be used by same group. US citizens must show proof of US citizenship. Non-citizens must be pre-cleared by TSA. Must sign waiver. Must use entire value in 1 visit. Subject to weather conditions. No substitutes for intro flight lesson. Combined weight of participant and friends cannot exceed 400 lbs. Expires 6 months after purchase. See the terms that apply to all deals. 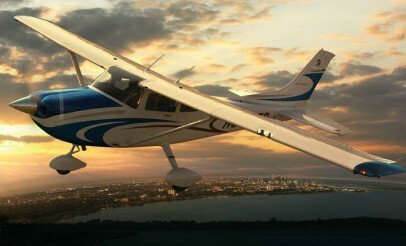 Bring up to two friends along as you participate in a 30-minute airplane flying lesson in a Cessna 172 Hawk XP. Bring your own GoPro and film the experience to share with all your other friends! After your flight is over, you'll have the chance to use Axiom Aviation's Experience FFA Approved Simulator. Axiom Aviation's qualified instructors provide detailed and exciting flying lessons for those wanting to learn. They give the community an opportunity to experience the thrill of flight in a safe and affordable way.